Do you care about carbon? 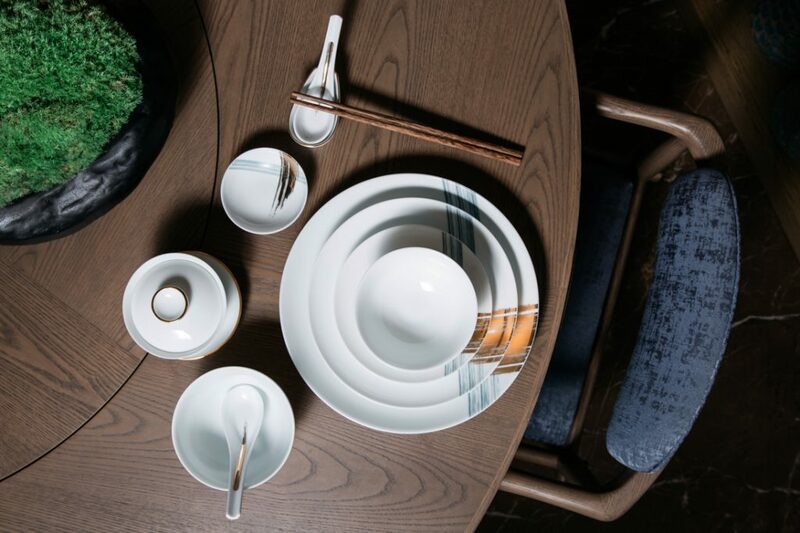 In today’s increasingly environmentally conscious world it’s difficult not to: whether you’re considering materials and finishes for your latest design or discussing climate change with your co-workers at the water cooler, carbon remains a hot-button issue. And with good reason: alongside other greenhouse gases (GHGs), methane, nitrous oxide, and chlorofluorocarbons (CFCs) and hydrofluorocarbons (HFCs), carbon dioxide is a primary cause of extreme global temperatures and climate instability. According to NASA, levels of atmospheric carbon are currently the highest they have ever been in 400,000 years, a consequence of decades of consistent fossil-fuel use and the retention of roughly 60 per cent of fossil-fuel emissions in the air. Human actions – and inaction – have directly caused climate change; by the same token, human actions can reverse it, too. Alongside other greenhouse gases (GHGs), carbon dioxide is a primary cause of extreme global temperatures and climate instability. 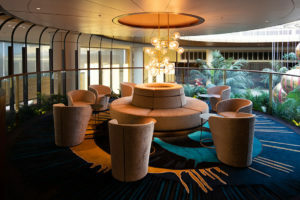 Seizing upon this potential to make a positive impact on the environment, flooring experts and sustainable design pioneers Interface has launched, a new initiative that resets the course of global carbon discussions. Carbon Neutral Floors steers the conversation in a more positive, productive direction and enables designers to effect real change through their specification choices. 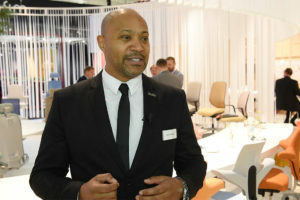 The initiative marks the latest step in Interface’s long journey toward an environmentally friendly offering and a shift in focus from sustainability to restoration. 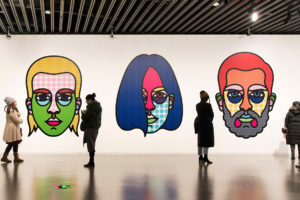 As early as 1994 – long before “sustainability” became a buzzword of contemporary design – Interface was already laying the groundwork for positive change. 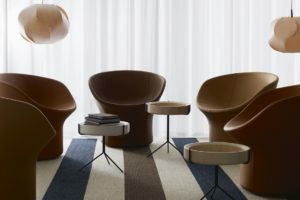 As part of Mission Zero, the company introduced ‘Cool Carpet’, which made carbon offsets a standard for selected ranges and an option for non-standard ranges. Now Interface embarks on the new, multi-faceted Climate Take Back® mission, toward effecting positive environmental change. For over two decades, Interface has worked tirelessly to achieve Mission Zero, a commitment to eliminate any negative environmental impact by 2020. And their efforts have more than paid off. Today Mission Zero is well on track to achievement, and Interface has slashed their overall carbon footprint by 66 per cent, in addition to enhancing energy efficiency at their manufacturing sites by 44 per cent and boosting company-wide renewable energy reliance by 88 per cent. 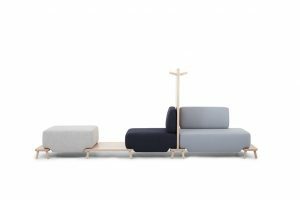 Long before “sustainability” became a buzzword of contemporary design – Interface was already laying the groundwork for positive change. Still, the journey toward sustainability is far from complete. With Carbon Neutral Floors, Interface recognises that it’s no longer enough to simply do no harm to the environment: it’s about proactively doing better. The initiative joins a suite of ongoing efforts by the company to actively restore the environment through dematerialisation, waste reduction, energy reduction, carbon sequestration, and provides an inspiring call to action for all industry peers. Carbon Neutral Floors marks the latest watershed moment in Interface’s Climate Take Back, a mission comprising four pillars: Living Zero expressed as Mission Zero; reframing carbon as a resource by “Loving Carbon”; inspiring the industry and leading the Industrial Re-Revolution; and supporting the earth’s natural ability to regulate climate and Let Nature Cool. 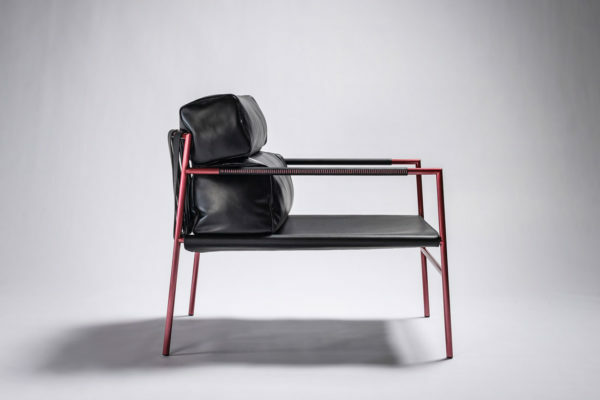 The initiative focuses on the second pillar in particular and encourages designers and specifiers to radically reconsider their relationship with carbon – even come to love it. How? It’s simple: by providing a complete range of stylish, high-performance flooring solutions that have a carbon footprint of absolutely zero. 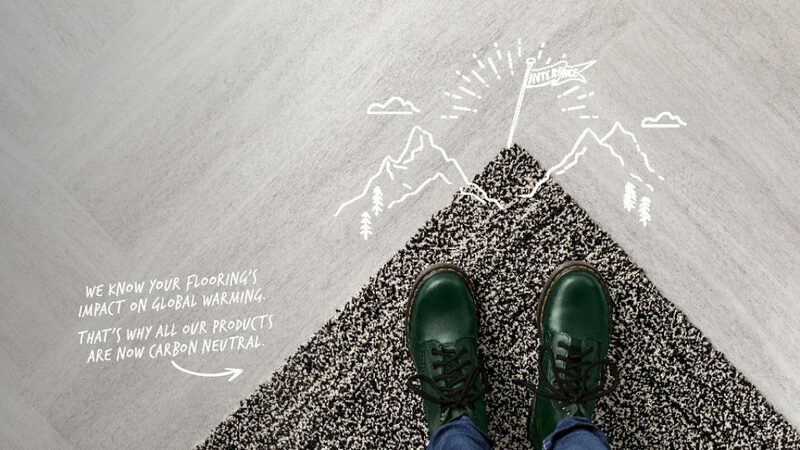 And it’s not just being offered as a single range – Carbon Neutral Floors is now available with every product, in every location that Interface operates in. 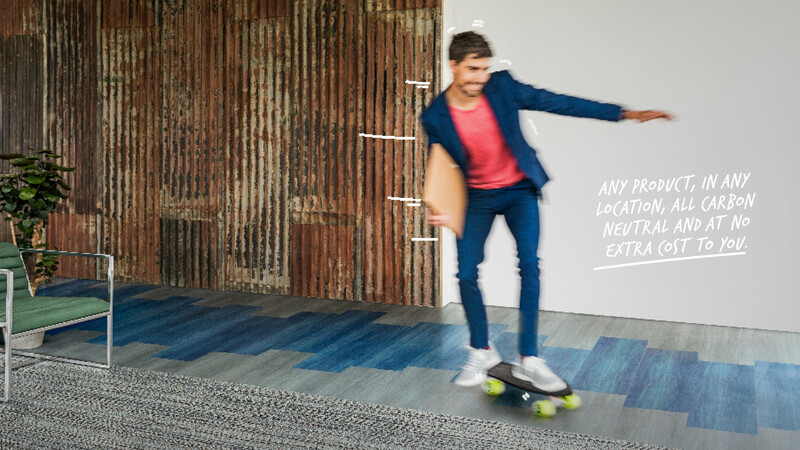 What’s more, Interface is the first flooring company to bring this offering to the market. 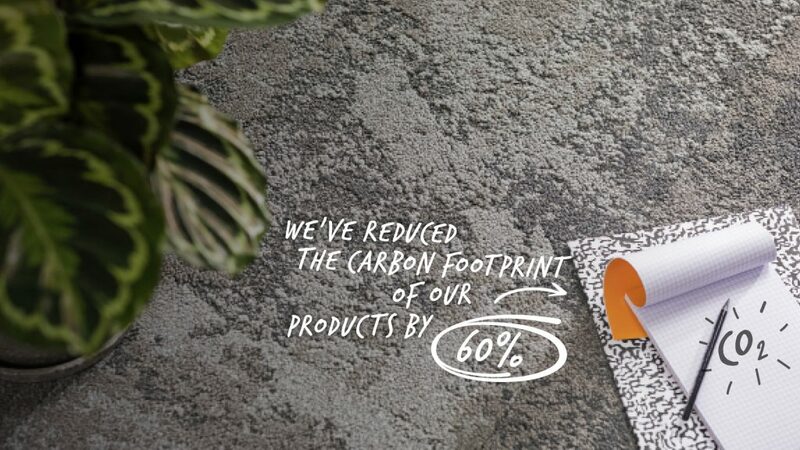 Carbon Neutral Floors marks the latest watershed moment in Interface’s Climate Take Back. 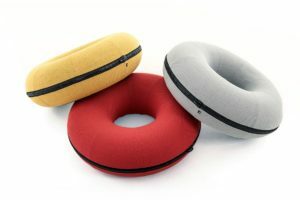 Contrary to widespread belief, the carbon footprint of a product extends far beyond the manufacturing process to include all stages in the product life cycle, from the sourcing of raw material and transportation requirements to the product’s use and end of life. 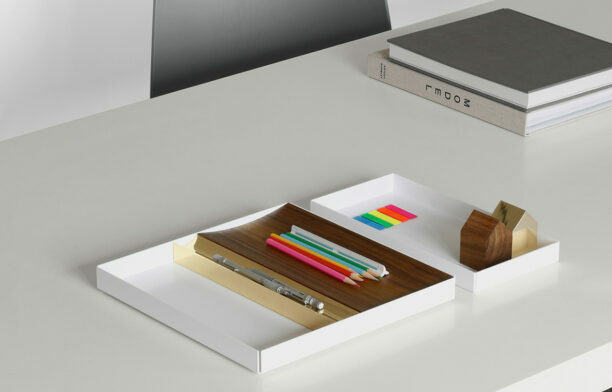 Carbon Neutral Floors takes this into account, and reflects Interface’s efforts toward carbon neutrality at every single point in the product life cycle. 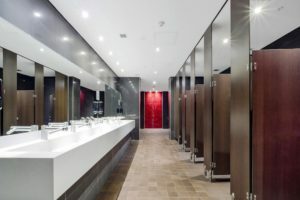 By reducing their greenhouse gas emissions by 96 per cent, reducing their total water intake intensity for manufacturing by a staggering 88 per cent, and undertaking the measures described above, Interface has slashed their carbon footprint by over 60 per cent to become the lowest in the industry. To wipe out the remainder of the footprint and become completely carbon neutral, Interface has invested in carbon offsets including renewable energy, fuel switching, and reforestation projects that keep carbon in the soil and plants. 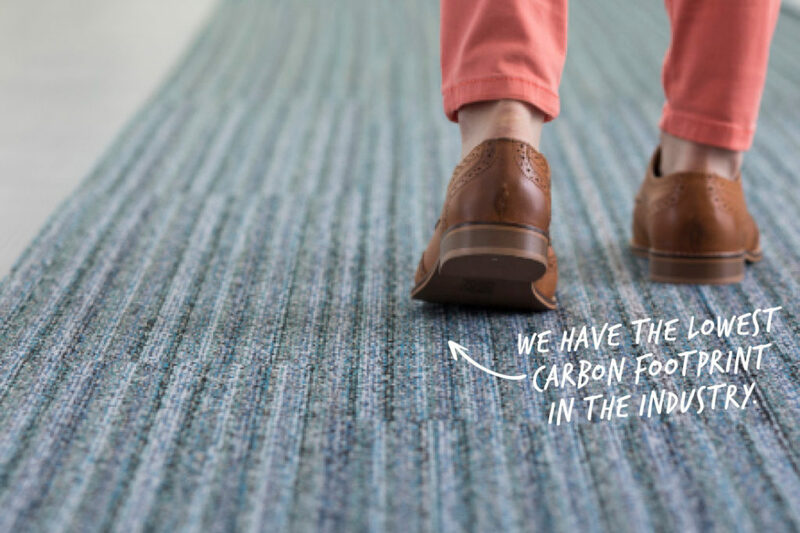 Carbon Neutral Floors now assures you that whether you’re choosing carpet, LVT or rubber, every use of Interface flooring is a huge step toward slashing your carbon footprint and hitting your emissions goals. 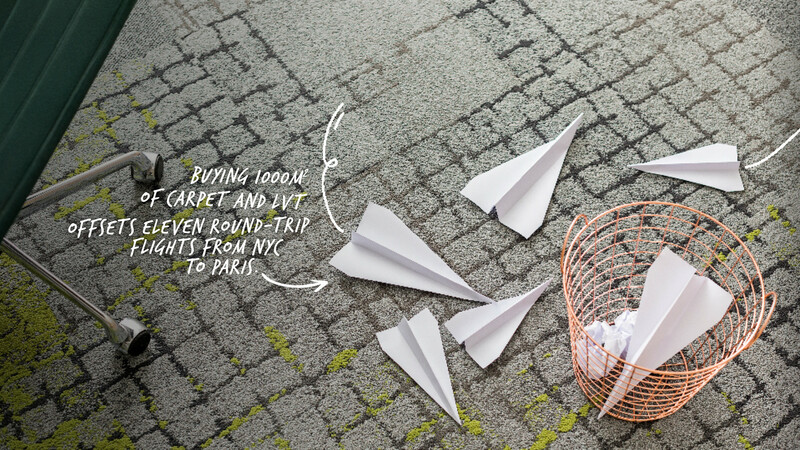 In terms of metrics, every 1000m2 of Interface flooring specified offsets the carbon equivalent of eleven round-trip flights from New York to Paris, or the annual GHG emissions of 85,000 cars. In line with the Interface commitment to refining the entire product life cycle, Carbon Neutral Floors delivers sustainability for life. 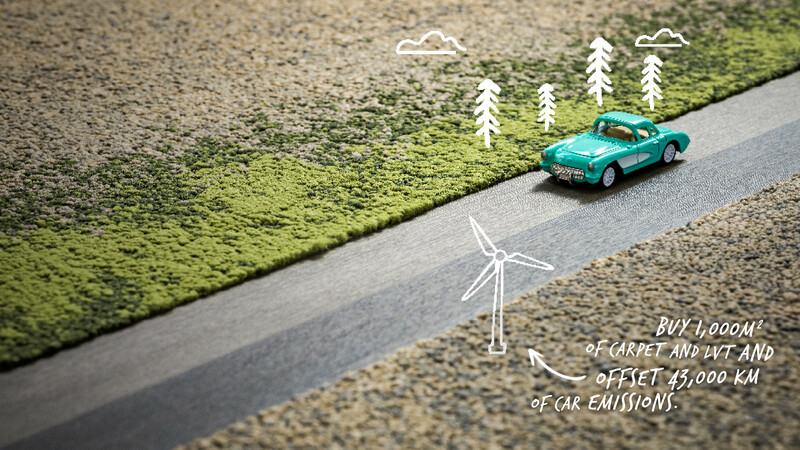 All Interface flooring solutions are supplied with all the information designers need to prove their carbon neutral credentials, and the company will undertake annual third party verification of the initiative to ensure its claims are current. In doing, Carbon Neutral Floors becomes about far more than just flooring, and becomes an industry-defining pledge to reverse global warming and create a climate fit for life. Learn more about Interface Carbon Neutral Floors™ and it is one positive step towards lowering the carbon footprint on your next project.